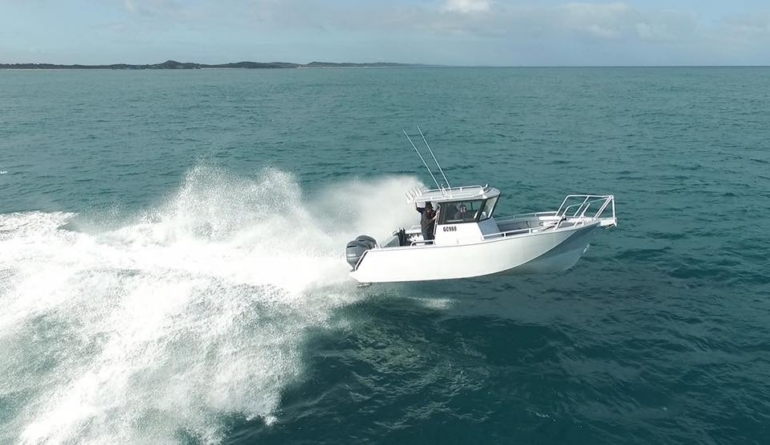 Global Marine Design’s latest 8.2m Air Rider is a full new custom design for Charlie Keall of Donnybrook. 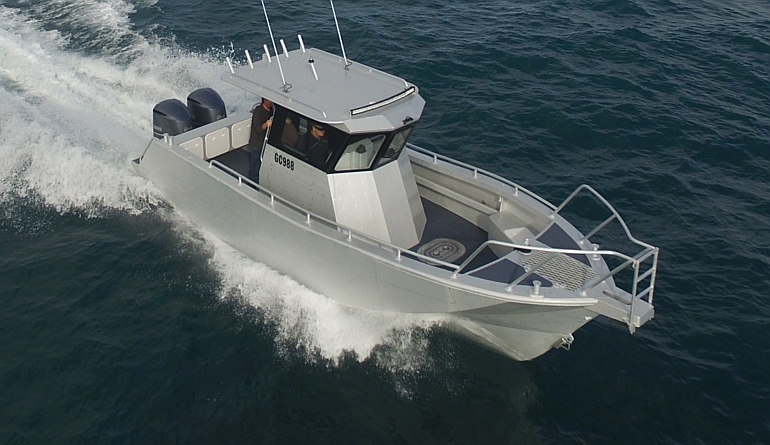 This is the second Air Rider Charlie has owned, having upgraded from his original 7.3m forward cab built 12 years ago at Kirby Marine. 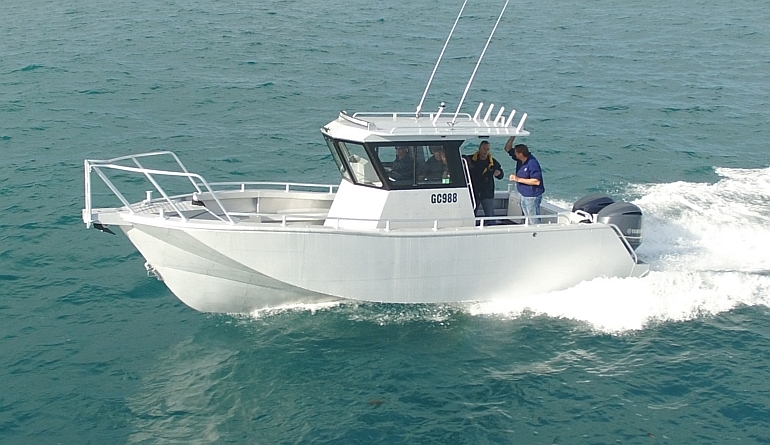 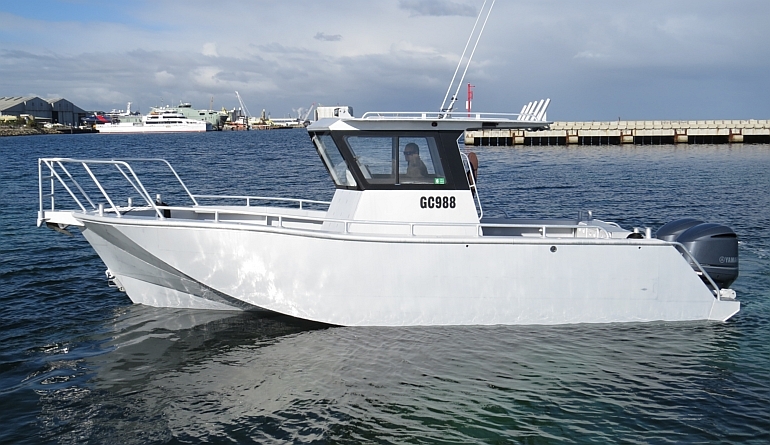 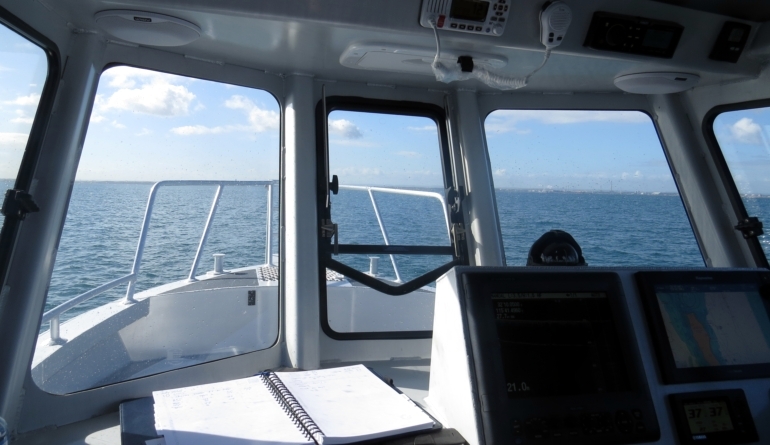 This new vessel was built by Fine Entry Marine in Geraldton, from a GMD aluminium Marine Kit, with the very functional fit out completed by Chris Rodgers Marine to an exceptionally high standard. 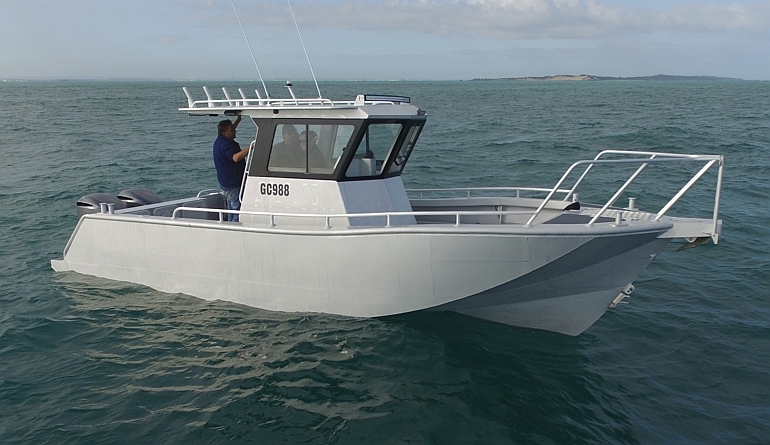 The hull is all new from the ground up, with survey level structure and a long list of design refinements. 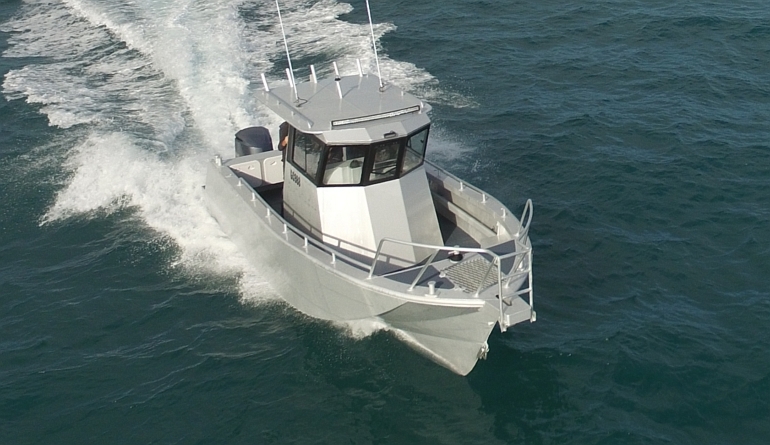 Following the very successful sea trial we are sure that this is our highest performing Air Rider hull to date. 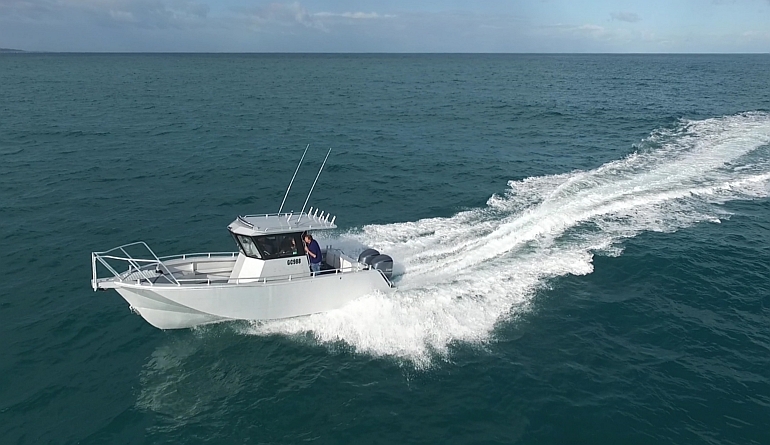 The vessel has an incredibly soft ride, which must be experienced to believe, as well as the confidence inspiring sea keeping for which Air Riders are renowned. 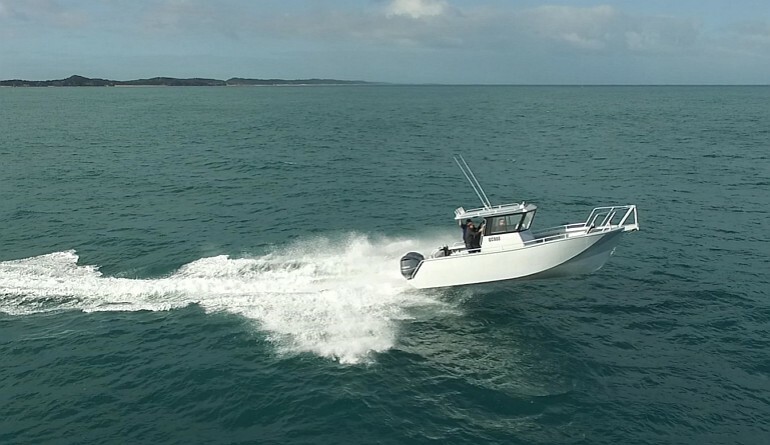 The twin Yamaha 250hp outboards propel the Air Rider 820 to a sprint speed of 43 knots. 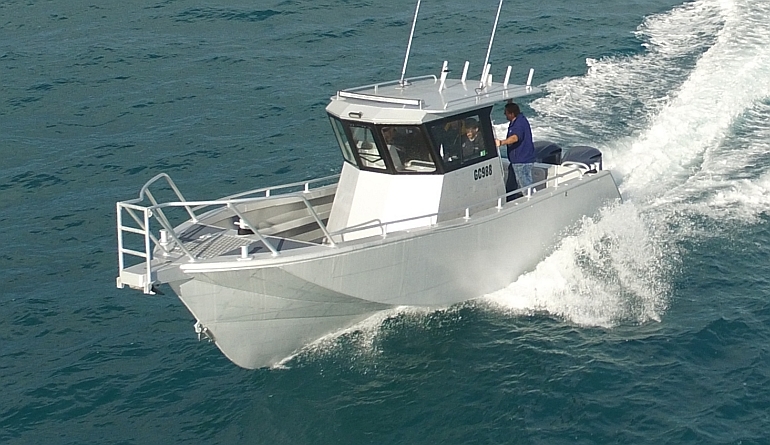 This weapon will happily cruise all day at 22 knots on 3200 rpm and use just 53 litres/hr. 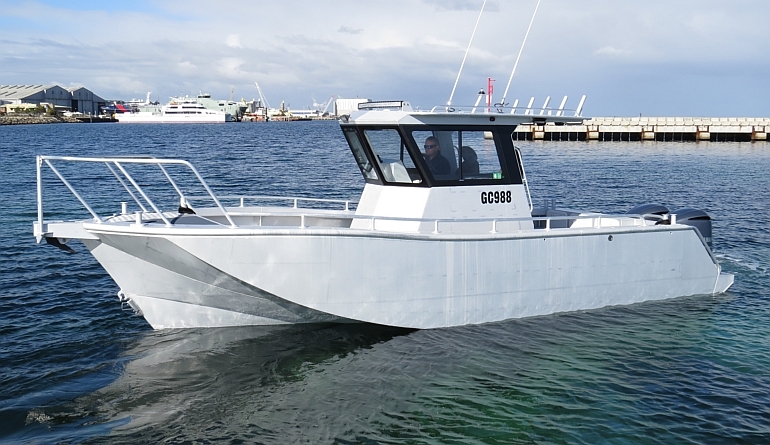 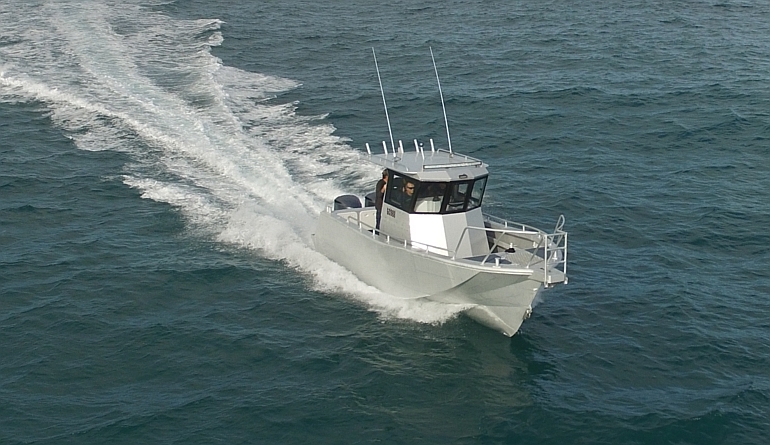 The island cab arrangement gives great shelter from the elements while also leaving space to fish along the full length of the vessel with easy access to the recessed stress free winch and bow boarding ladder. 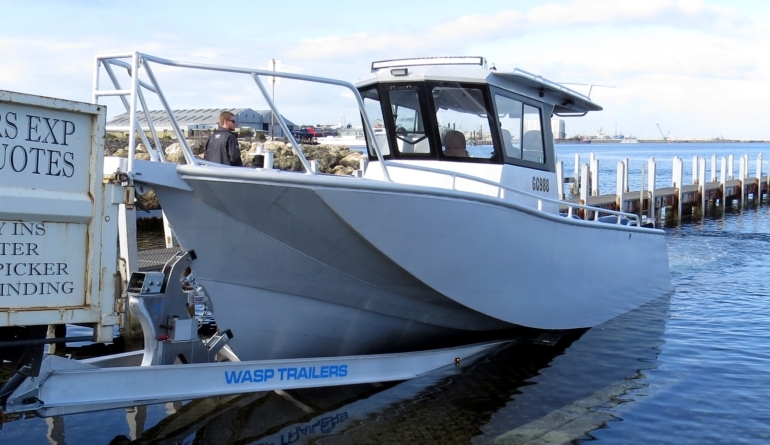 This kit is also available with an optional sleeper cab to cater for overnight trips and give more weather tight storage, providing a full 6’6″ sleeping zone, with uninterrupted deck walkway all around. 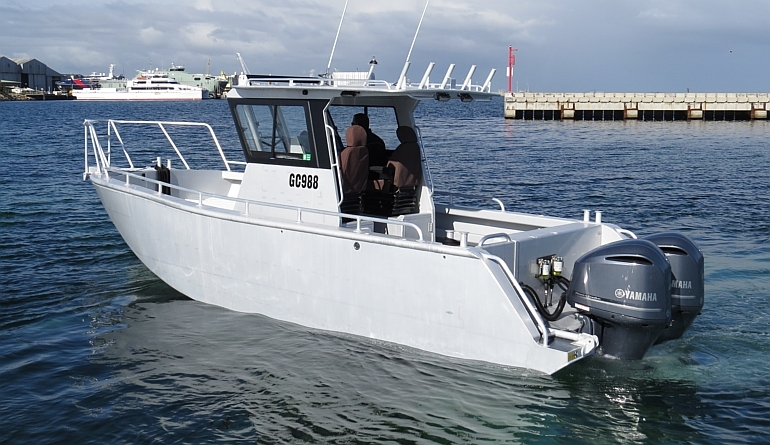 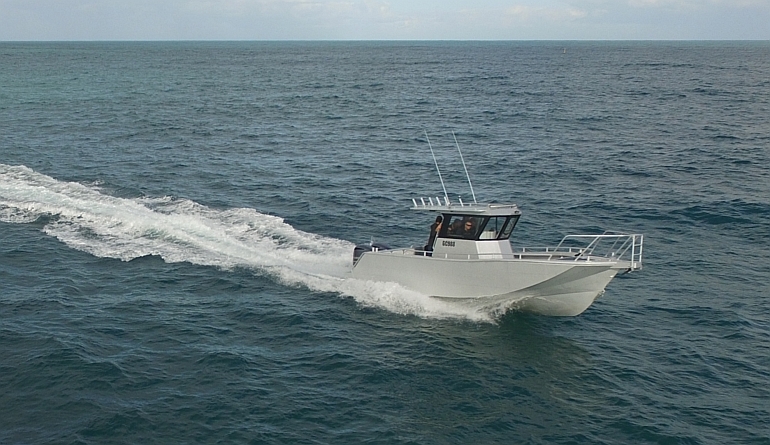 While the first 8.2m Air Rider will be used purely for offshore fishing we would also recommend this versatile hull for patrol, interceptor, sea rescue, crew transfer and commercial fishing applications.